Did you know that today, July 17th, is officially World Emoji Day? For those who may be asking - what is an emoji? An emoji is a small icon used to display ideas or emotions, or to put it plain and simple, these: 😀👍🏻😁🙌🏻😂🔥🤣💥😃💦😄☀️😅☔️😉 . Scientific studies have shown that viewing emojis can increase your enjoyment, and create a positive interaction by being friendly, emotional, and personal. In honor of this wonderful holiday, we're sharing a few tips on how you can use emojis in your marketing to create a fun, light-hearted experience to connect with your audience. 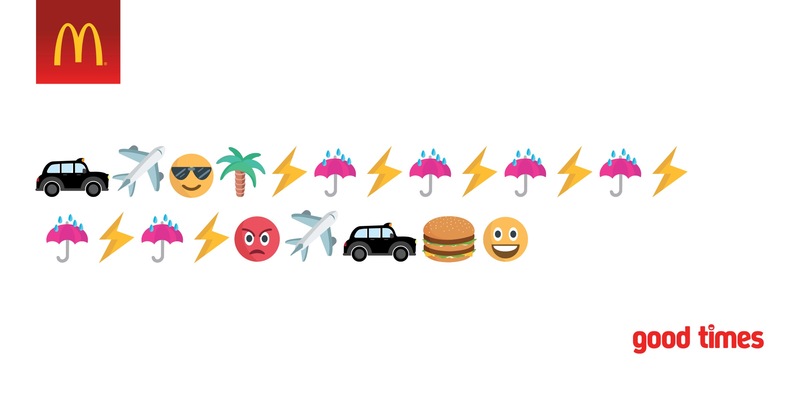 Whether it's in a social post or an email, telling a story with only emojis is a fun and playful way to engage your fans and keep them guessing. Try running a social media contest where you post a phrase or question with only emojis, and the first person to guess the message correctly wins a prize! While few can rival the #TacoEmojiEngine of 2015 (which created custom gifs when a fan would Tweet the taco emoji + any other emoji on the keyboard), the principle of the campaign can teach us all a few things about using emojis to engage with fans. Try asking a question on social media, encouraging your fans to answer only with emojis. Make your message stand out amongst other notifications by using emojis. Studies have shown that it increases push notification opens by 85%. 56% of brands that used emojis in their subject lines saw a boost in opens. Just one little icon can help your email stand out against a sea of subject lines. There's no time like Global Emoji Day to start using these fun icons in your marketing! Which idea will you try first? Tweet @Onsharp to join the conversation.